History: For a thousand years, the descendants of Hamura Ōtsutsuki sealed their eyes within the Tenseigan altar, a giant orb accumulating tremendous power. If they determined that mankind were using their chakra for evil after a millennium, they would unleash that power upon them. 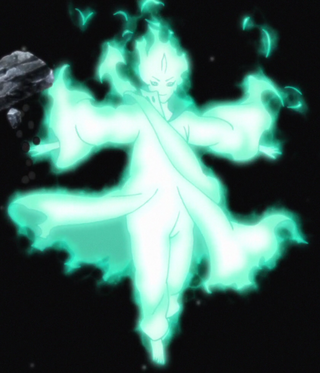 Due to the sealing away of their eyes within this clan, Toneri was born without eyes. As the last survivor of the Ōtsutsuki clan, he concluded that mankind did in fact use chakra for evil purposes and he's determined to fulfil his clan's thousand year vow and destroy humanity by dropping the moon on the Earth. 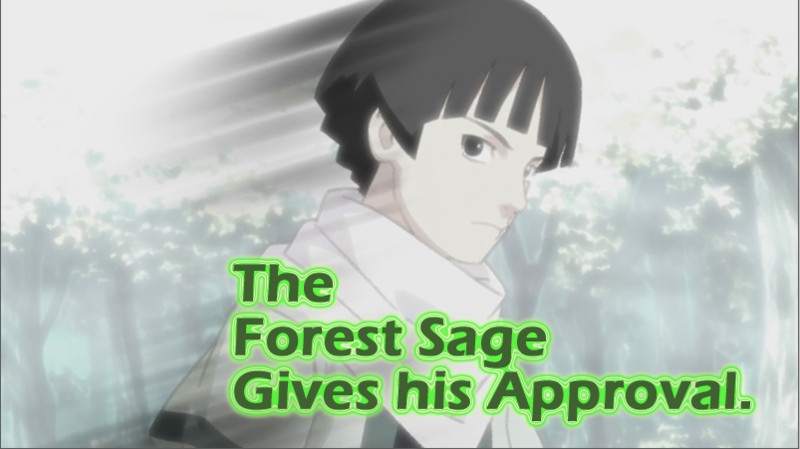 However, Toneri did not have any eyes since birth and decided to steal Hanabi Hyūga's Byakugan by kidnapping the heiress. After taking her eyes and combining the power of countless generations of sealed Byakugan that were sacrificed by the Ōtsutsuki clan, he awakens the Tenseigan. Grants the user the use of the Shinra Tensei, this allowing the user to focus Yin-Yang Chakra into gravity and expel it outwards. The Shinra Tensei can be used in two different ways, the first being projected from the hands in a manner similar to a projectile. The projectile version can be at maximum, 3 meters wide in all directions, and can travel up to a maximum of 25 meters. The second use is an omnidirection sphere of gravity expelled outwards, this is limited to 5 meters in size. All Shinra Tensei techniques have the speed and power of 100 and cost 50 chakra, all uses put a 3 post cooldown on the Shinra Tensei regardless of which variant used, both hands can be used for double size push but puts the gravity powers on a 6 post cooldown. • Grants the user the use of the Bansho Tenin, this allowing the user to focus Yin-Yang Chakra into Gravity and attract objects. Bansho Tenin can only be used through the hands, allowing one to pull objects and people towards them, the point of attraction is only at maximum one meter in size in all directions and can only focus on one object per hand, the maximum range of pull is 25 meters. Shinra Tensei and Bansho Tenin can be used in conjunction, but with a one post delay between uses. If used at the same time, both powers go on a 6 post cooldown. 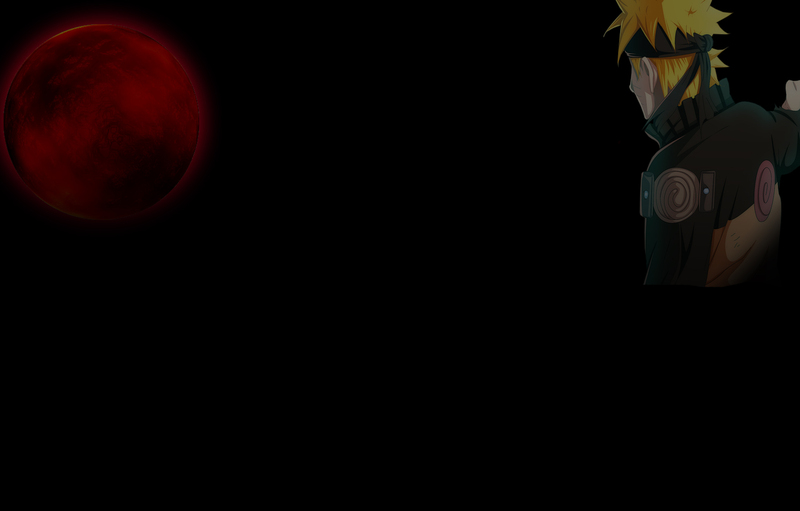 The first is the Chakra Cloak that the Tenseigan user gains when learning to wield the eyes. The chakra cloak gives the user a heightened Chakra, speed and health. Each are increased by 200. 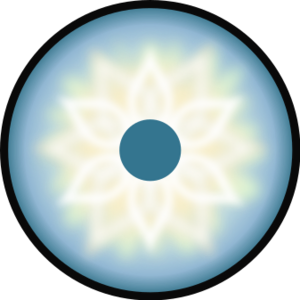 The chakra cloak can be activated and deactivated at the users reaction time, however the activation of the cloak only increases the users CP once per topic. On Top of the CP required to activate an ability the Tenseigan is mentally exausting just like other Doujutsu. The Tenseigan requires no activation CP cost but it does require an upkeep of 75 CP a post. Requirements: Must Have Otsutsuki clan DNA. must have transplanted and have a working pair of Byakugan to awaken. To awaken the eyes it requires a 1000 word post.